Dr. Kari Dunfield is seeking applicants for a PhD position in Environmental Microbiology at the School of Environmental Sciences at the University of Guelph. 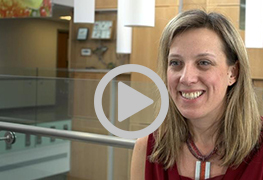 Kari Dunfield is a professor in our School of Environmental Sciences. She also holds a Canada Research Chair in Environmental Microbiology of Agro-Ecosystems. Her research focuses on the impacts of human activities on soil health and ecosystem functions. Check our Kari's 60 second snapshot video here.